Dr. Joel Kerr (Dr. J) is the Founder and Director of Therapy at The Health Institute. With over 9 years of experience as a health practitioner, strength and conditioning coach and motivational speaker, he is dedicated to providing young athletes with the tools and building blocks needed to be successful on and off the field. Dr. J combines the physical aspects of training, manual therapy and nutrition with mental aspects such as stress reduction, stress management and sleep hygiene to ensure the success of young athletes. 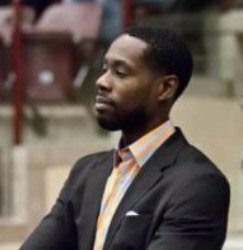 Dr. J is the Health care practitioner for high level sporting events such as the Nike CrownLeague (NBA Sanctioned Summer League), Pinty’s Grandslam Curling Championship and multiple grassroots sporting organizations including hockey, soccer, tennis and basketball across the Greater Toronto Area. This past spring Dr. J was added to the medical staff for the Senior Men's National Team of Canada Basketball. Dr. J enjoys the educational component to being a manual therapist. He educates every patient on the benefits of living a healthy lifestyle as a major component to a treatment plan. Emphasis on returning ownership of health to the client is as important as restoring function and strength to the affected area of the body.